On September 20th, 2015, innovators in Technology, Entertainment, Design, and Entrepreneurship will gather for a one-day conference in Lower Manhattan, for a day of creative collaboration and cross-disciplinary inspiration. Our very own 10x Co-Founder Rishon Blumberg will be a guest speaker, along with a panel of others including Bradford Baker (deep-sea treasure hunter), Richard Stratton (writer, filmmaker), Laure Klahre (pollination expert), Diandra Forrest (first major fashion model with albinism) and Bruce Rosembaum (steampunk designer). 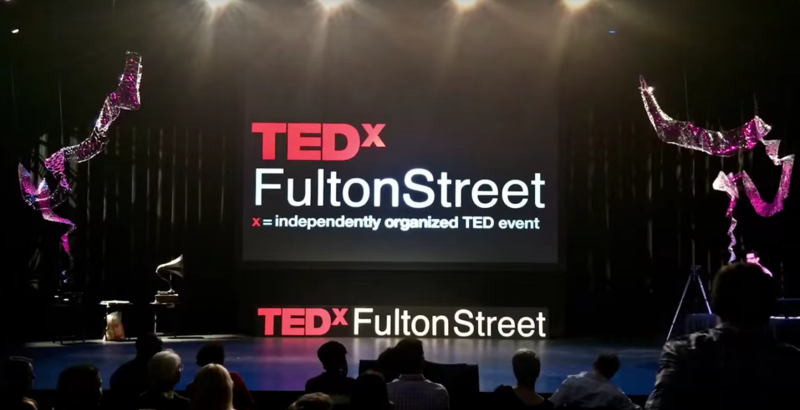 TEDxFultonStreet is a not-for-profit, independently organized event, under contractual license from TED Conferences. For additional information about the event, please visit http://TEDxFultonStreet.com.